What should you do if you find yourself in a similar situation? Where do you start? Even if you have only a few people to work with, the first thing to do is to reconnect with anyone who has already given or somehow demonstrated they are interested in your work. Are there 100 people who contributed money in the last 5 years or so? Only 15? Fine. Reach out to them. Send them a letter, thank them for supporting you, and let them know what you’ve been doing. Do you have a list of 25 people who came to that fundraising dinner back in 2010? Mention their attendance in a letter and thank them for coming. Invite them to reconnect with your work. Make your letter as personal and specific as possible. A week or two after the letter goes out, have a board member call or email those on your list. Find out if they are interested in keeping in touch with your organization. If you are a new organization, make a list of anyone who has shown interest in your work, attended an event, called for information, etc… Make a plan to connect with them however you can, whether it is an email, phone number, mailing address or even on Facebook. You may need to spend a little time to find current contact information. See what you can find about them on the internet and log it all into your database. Also, make it a priority from this moment forward, to keep track of every person who expresses an interest in your organization, whether through a phone call, Facebook, volunteering, using your services, or attending an event, etc… Then you’ll have a ready-made list so that each year you can follow-up with a request for support. After you’ve rekindled relationships with your own contacts, both close and distant, turn to your closest supporters to help you compile a “warm” list of people who might also be interested in your work. Call every one of your close connections and ask for a list of people they know who might be good donor prospects. They can either give you permission to use their name, or they can remain anonymous if they prefer. What might you do with this list? Invite each of these “warm” prospects who are local to a no-charge morning gathering or evening reception where you will inspire them to connect or reconnect with your work. The key is to keep this no-frills, simple, and inexpensive. Coffee, a few pastries and several board members or advocates are all you need. A personal invitation from your mutual friend works best. A week after the event, each person who attends will get a call from someone in your organization asking them what they thought of your work. The following week, you’ll send a follow-up letter to those who attended asking for support. Mail a well crafted, inspirational letter introducing your organization, and inviting their support. Make this as personal as possible. If your mutual friend is willing, he or she might include a personal note (“I thought you would be interested in the great work this organization is doing”). Step 3: Use a list broker to rent a mailing list and send a direct-mail acquisition package. You need to have some “spare” funds to invest. 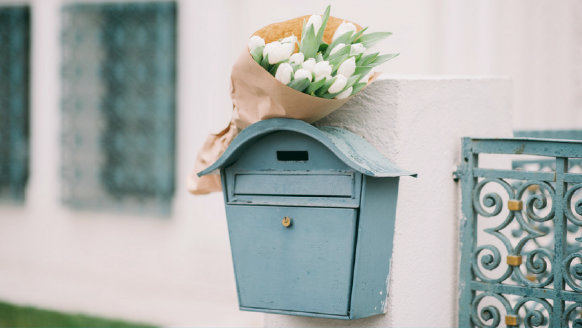 There is an up-front cost to a first-time acquisition mailing. There are also follow-up mailing costs. If you are struggling to find funds to pay your staff, or keep your programs going, it’s definately not the right time to invest in this type of acquisition campaign. Your organization needs to be willing to wait several years (2-5 years) for it to pay off financially. The point of this appeal is to find long-term donors, some of whom will become major supporters down the road. The goal is not to make a profit on this one appeal. The chances of that are not impossible, but very slim. You’ll need someone, either on staff or on contract, who is able to manage the list rental, mailing, and most importantly, follow-up. Producing an annual renewal campaign. Crafting a meaningful way to thank donors for their gifts and communicate how those gifts were used. Carefully tracking and maintaining the integrity of your donor information and giving history. Want to read more about finding new donors for your nonprofit? Download the FREE Guide to Donor Acquisition for Small Nonprofits when you join Smart Annual Giving (It’s FREE! ).